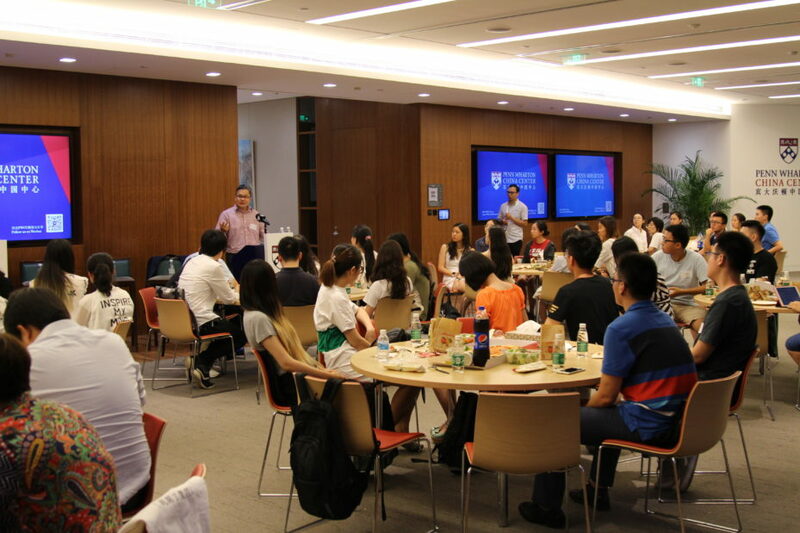 Chinese students and Penn alumni gathered in downtown Beijing at Penn Wharton China Center for a summer networking event on August 1. More than 75 students and alumni who graduated between 1995 to 2018 got together for a night of learning and sharing. Attendees mingled with former school mates, future business partners, current undergraduate and postgraduate students, and incoming students. Keynote speaker Prof. Boon Thau Loo, Associate Dean of the Master’s and Professional Programs at Penn’s School of Engineering and Applied Sciences, talked about the increasing prevalence of Chinese students at Penn Engineering as well as the employment opportunities that Penn students are finding in China. In addition to overseeing all 17 master’s programs, Loo is also a professor in the Computer and Information Science (CIS) Department at Penn. He shared a few of the latest admissions statistics from Penn Engineering — half of the incoming master’s students come from China and the number of new applicants for the masters programs increased overall by 25 percent in 2018. In addition, he referenced an in-school survey of Penn graduates revealing China now ranks fifth as the most promising employment market. Prof. Boon Thau Loo speaks to the audience at the networking event. 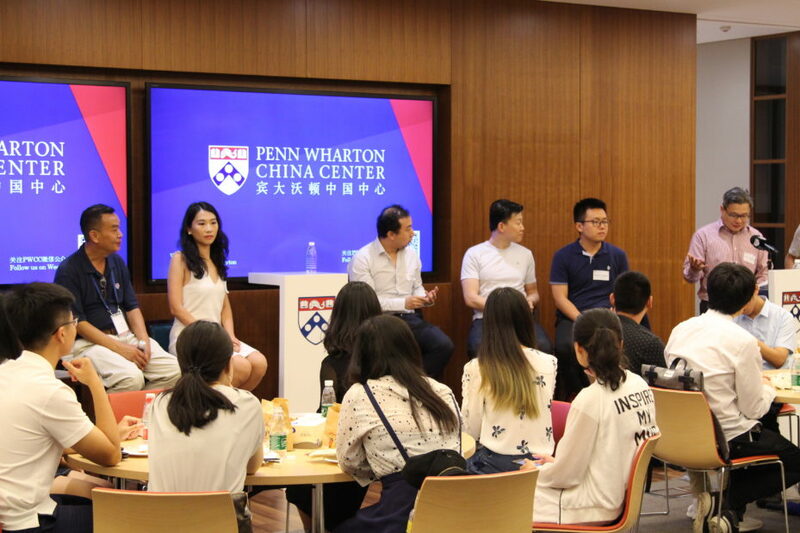 After Prof. Loo’s opening remarks, he moderated a panel discussion of five Penn alumni who shared their experiences moving from China to the U.S., moving from the U.S. back to China, and navigating career and job opportunities in China. They talked about their academic experiences as well as their career choices. Gary Zhao, WG’95, the managing director and CEO of New Century Empire Capital is also the current president of the Penn Club of Beijing. 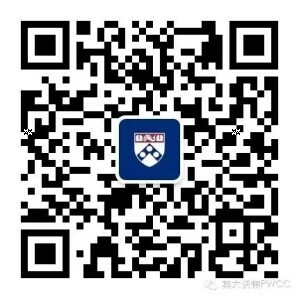 Zhao encouraged Chinese students studying at Penn to keep an open mind over cultural differences and always try to prepare for societal and academic changes. Jiusi Yao, GSE’16, founded Buds, China’s first design and fashion lifestyle brand, after she graduated from Penn’s Graduate School of Education in 2016. Yao mentioned how the resources at Penn enabled her to explore more in the U.S. as a part-time class planner in education. During this time, she learned how to run a business. She was then able to return to China and start Buds. Three Engineering alumni also joined the panel — Xiaojun Liang, Gr’17, from JD Group, Marshall Yang, GEN’11, Vice President at NGP Capital, and Xin Yang, GEN’08, CEO of Born Asset Management, a start-up focusing on the A-share market in China. These successful alumni shared their experiences and point of view about career opportunities between East and West and opportunities and business trends in their areas. Ms. Wang, a current student in the Engineering Department, found a tremendous amount of value in the event. “I am taking a gap year now, as I have moved into the financial sector. I feel I understand the opportunities ahead of me clearer now, as I move into a new career path.